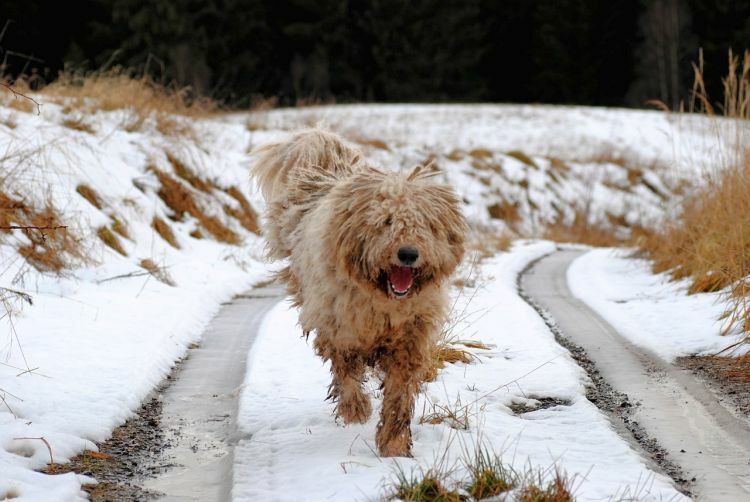 The Komondor is a great breed for those who want a dog that is a little different from the myriad lab and shepherd mixes running around at the local dog park. Komondorok are certainly unique-looking dogs, and they have sweet and playful personalities that make them welcome additions for many families. We’ll explain everything you need to know about the Komondor dog below, so you can determine if the breed would be a good choice for your home. 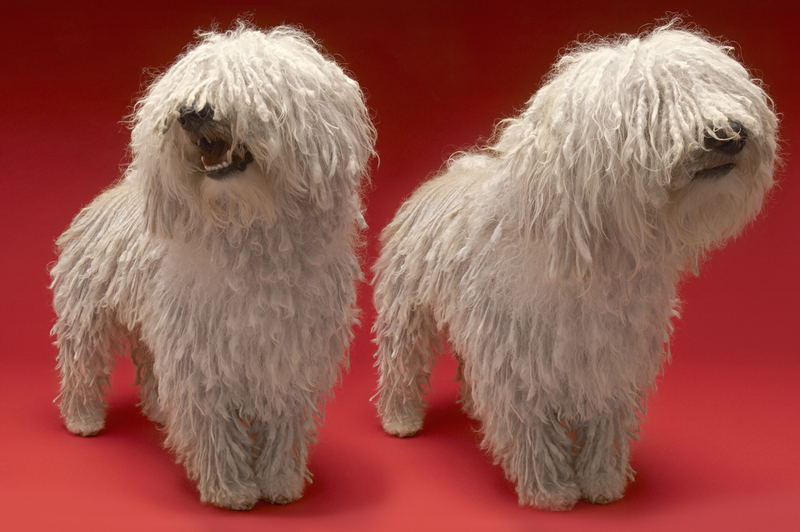 Alternative Names: The plural of Komondor is Komondorok. Colloquially called Koms. The Komondor was originally developed in Hungary, where they were tasked with sheep-guarding duties. In fact, their mop-like coat was created to help them blend in with, and be accepted by, the sheep they were tasked with guarding. No one knows exactly when the first Komondorok were created, but written records mentioning the dogs date back to the 1500s. Some suspect that the breed was derived from the Russian Owtcharka – another livestock-guarding breed of Russian origin. These dogs are fairly rare, and they almost vanished entirely during the chaos of World War II. Nevertheless, a handful of dedicated breeders managed to rescue the breed and ensure they’d be around for future generations. The Komondor gained American Kennel Club (AKC) recognition in 1937. Like most other guarding breeds, Komondorok are big dogs. They may not be as massive as Tibetan mastiffs or some of the other gigantic guarding breeds, but they often approach 100 pounds in weight. Additionally, their corded coats help to make them look even more massive than they actually are. However, Komondorok aren’t especially tall; most individuals are a bit over 2-feet-tall at the shoulder. For comparison, this means they’ll be a few inches taller than a typical Labrador or golden retriever. Komondorok are sweet and affectionate with their families, but they are often suspicious around strangers. They are very protective dogs, who won’t hesitate to put themselves between their family and danger. In fact, their protective instincts can make them challenging for first-time owners. Komondorok regard every unusual sight, sound and smell as a potential threat, and they’re perpetually on-guard. In fact, they’ll often follow their family members around as they would livestock. But when relaxed, Komondorok are relatively playful dogs with moderately high energy levels. They love playing around with their people in the backyard and going for long walks. Just be sure to exercise care when encountering other dogs, as Komondorok are often antagonistic toward other canines. Given their size and strength, this can quickly lead to disaster. Komondorok are generally healthy dogs, who don’t experience many unusual health problems. They are, however, susceptible to some of the same health problems that afflict other large breeds. Hip dysplasia and obesity are probably the greatest threats to most Komondorok. Komondorok are also susceptible to bloat, but this likely has more to do with their size and build than their genetic makeup. Additionally, Komondorok appear to suffer from dental problems more than some other breeds do. It is also important to note that the Komondor’s coat requires regular care. If allowed to remain damp, it can become moldy, which may lead to skin infections. Caring for a Komondor is relatively straight-forward in most respects. Their basic care requirements are the same as those of most other large breeds. We’ll discuss their food, exercise, training and grooming requirements in a moment, but it’s important to understand one fundamental aspect of Komondor care before moving forward: Despite being bred to live outdoors, you’ll want to allow your Komondor to spend plenty of time inside with your family. Those who are deprived of regular human interaction can become depressed, suspicious or aggressive. This will not only reduce your pet’s quality of life, but it may present safety concerns too. Your Komondor may prefer hanging out in a (secure) backyard while you’re at work all day, but he’ll want to come inside and join the family in the evenings. Komondorok don’t have any unusual dietary requirements. They simply need a nutritious, high-quality dog food to thrive. 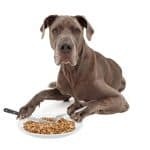 However, you should look for a food that is specifically designed for large-breed dogs (or large-breed puppies while your pet is young). 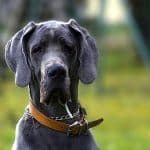 We review some of the best options for large breeds here, so be sure to give this article a look. It is probably wise to select a food that is fortified with omega-3 fatty acids, as well as glucosamine and/or chondroitin. Omega-3 fatty acids help to reduce joint inflammation, and glucosamine and chondroitin help to promote joint health and prevent damage to joint cartilage. This may help prevent hip dysplasia, or at least, reduce the severity of the symptoms. Komondors require regular exercise to remain healthy and happy. They don’t need to run full speed for hours the way huskies and some other breeds do, but they will need a very large yard and regular walks. Komondorok aren’t especially interested in playing fetch the way retrievers and some other breeds are, but they will enjoy running around in the backyard and playing “tag” with you or your children. Just be sure that you always keep your Komondor on a leash in unsecured areas. Because of their large size, incredible strength and protective instincts, early socialization and training are imperative for Komondorok. 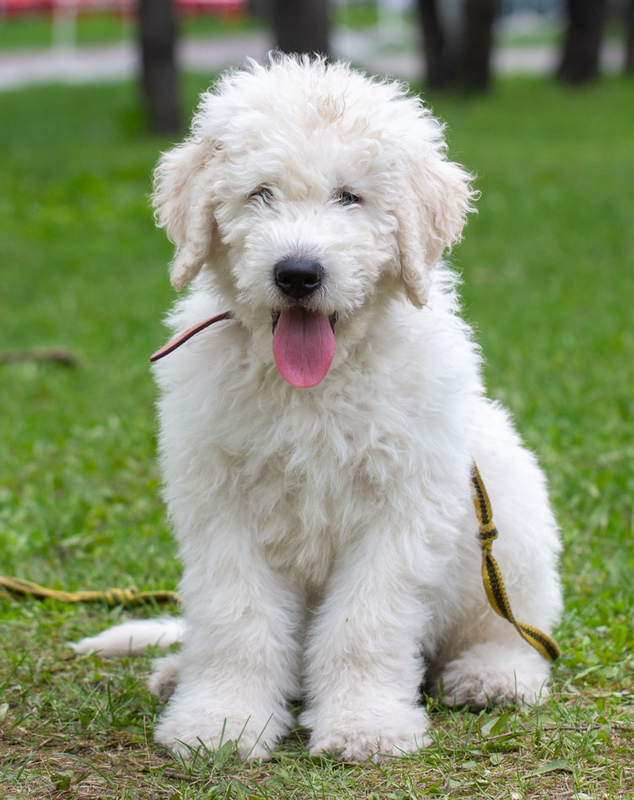 You can begin training as early as 7 to 8 weeks of age, but you’ll need to continue to train your Komondor for his entire life. Training this independent-thinking breed can be challenging. They’ll quickly get bored with excessive repetition. Additionally, they’re sometimes challenging to motivate. Komondorok don’t have the same desire to please their owners that Rottweilers, German shepherds or Labrador retrievers do. Accordingly, you’ll want to be sure to stock up on training treats and do everything you can to keep training sessions fun. It may be necessary to work with a professional trainer if you aren’t able to achieve the results desired on your own. Komondorok develop their characteristic corded coat over the course of about 2 years. Consequently, they don’t need to be brushed; it’s essentially impossible to do so. However, that doesn’t mean their coat requires no care – quite the contrary. 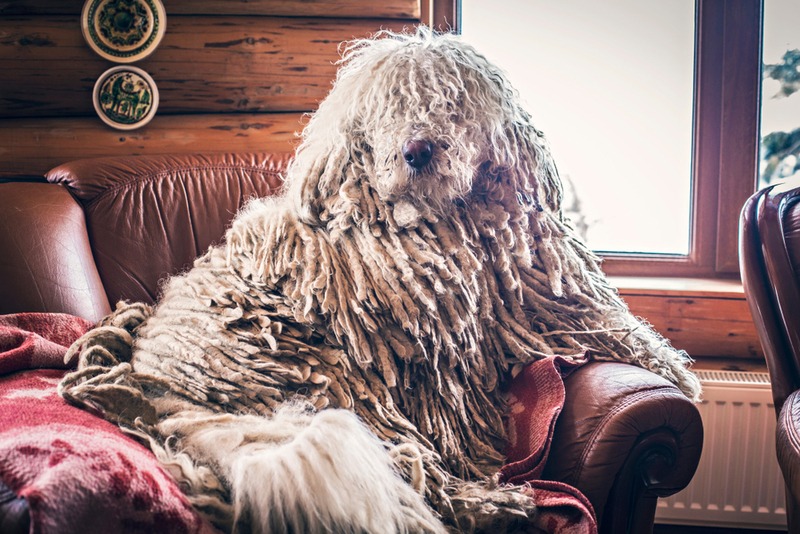 You’ll need to inspect and separate your Komondor’s cords regularly to remove any dirt, debris or parasites present, and you’ll need to bathe him regularly. Additionally, while many dogs will air-dry in short order, the Komondor’s corded coat will retain water for hours. This can lead to foul odors and mold development. One of the best ways to prevent these problems is to purchase a canine hair dryer to accelerate the drying process. Most Komondors enjoy laying in front of a hair dryer (set to low heat) as they dry. It is sometimes advisable to trim the hair around your Komondor’s face. This will allow him to see more easily, and it’ll prevent his facial hair from getting fouled with food. Komondorok aren’t very common dogs, so you’ll often have to invest quite a bit of legwork to track one down a Komondor puppy. Just be sure to research any Komondor breeder from whom you intend to purchase your new dog, to ensure that they operate in an ethical manner. You’ll want to meet the parents of any Komondor puppies available and have the chance to review health documents about the parents. Pay special attention to the temperament of the parents during the buying process. 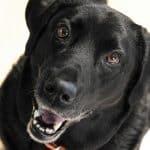 You can’t expect them to be as friendly as a Lab or golden retriever, but they shouldn’t be unreasonably aggressive, either. 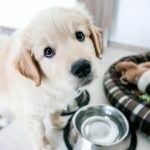 You can start finding a local breeder by performing an internet search. 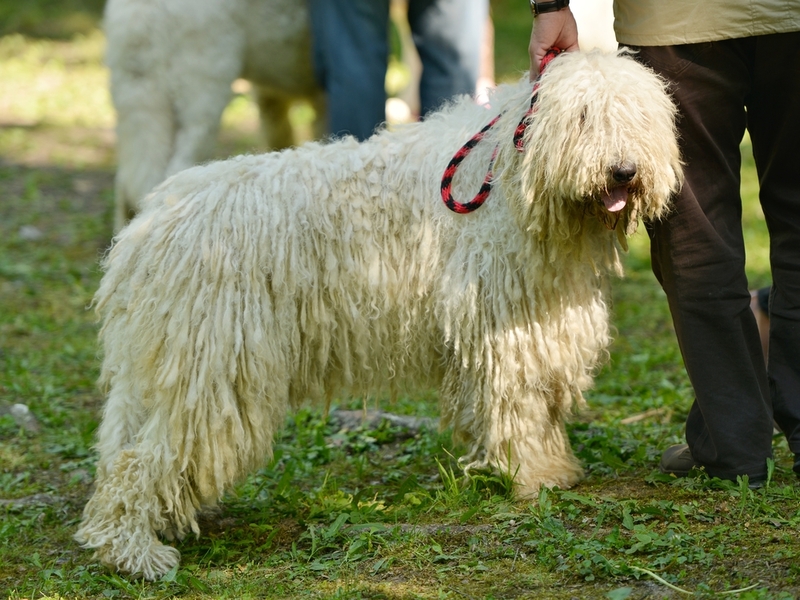 You can also find a number of breeders via the Komondor Club of America. It may also be helpful to contact Komondor Rescue if you’d rather adopt than buy. Just note that most rescue dogs will be adults, which will present more challenges than puppies. 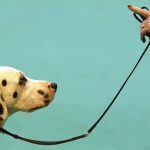 Most prospective dog owners have questions about the breed they intend to buy or adopt. But because Komondorok are so unique, they tend to generate more questions than typical breeds. We’ll try to answer a few of the most common questions about this breed below. All dogs shed, although some shed more than others. Komondorok are moderate shedders, who fall somewhere in between poodles and other breeds that shed very little, and German shepherds or Labs, who tend to shed very heavily. Do Komondorok like to swim? Some Komondorok like to swim, but given the length of time it takes their hair to dry, it isn’t something most owners are willing to allow on a regular basis. If you do allow your Komondor to swim, just be sure to dry him as quickly as possible afterward. Properly groomed Komondorok usually don’t have a bad odor. However, those who are not kept clean or dried quickly after becoming wet may develop mildew-like odors. Does a Komondor’s hair naturally form cords? Yes. Komondorok have a typical coat while they’re young, but their thick cords develop naturally over the first year or two of their lives. Komondorok see perfectly well through the cords found around their face and eyes. However, some owners like to trim this hair or keep it pulled back with a hair tie to keep it out of their eyes. How do you groom a Komondor? Grooming a Komondor is actually rather easy. You needn’t brush them (you’d find it difficult to do so), but you will need to inspect and separate their cords regularly. It is also important to bathe them regularly; just be sure that you dry them as quickly as possible, to prevent them from developing foul odors. No dog is truly hypoallergenic. All dogs shed, and it is actually the dander and saliva of dogs that trigger allergic reactions in people. However, hair can carry dander and saliva, so dogs who shed relatively little are generally better for those who suffer from allergies. Komondorok are low- to moderate shedders, so they can be a good choice for allergy sufferers. Wrapping Up: Is the Komondor Right for Your Family? The Komondor is clearly a unique breed, and many people find them very appealing. They certainly have a number of positive traits, but that doesn’t mean they’re ideal for all families. For example, Komondorok are normally affectionate and gentle with their families and fiercely protective and brave in the face of danger. They’re also relatively intelligent dogs, who have reasonable exercise requirements. And despite the unusual appearance of their coats, they don’t require a great deal of grooming either. However, the Komondor is not a good choice for first-time owners. They require a calm, consistent and assertive leader, who can sidestep the training issues that often plague inexperienced owners. Komondorok are not especially easy to train, as they lack the people-pleasing attitude of some other protective breeds. Given their size, strength and protective nature, they can become dangerous if not properly trained and socialized. Nevertheless, experienced owners who want a big, unique and protective breed may find the Komondor to be the perfect breed. What is The Biggest Dog Breed in The World?